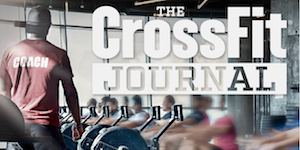 If you’ve wondered what CrossFit is all about and why it’s the most popular way to workout, we have the class for you. You’ll join us for a free 30- 60 minute MetCon class where we will warm you up, do some core work, walk you through the movements of the day, then put you through the paces of our signature “Burn” class which is fitting since we are in Hell’s Kitchen! We have Free Trial Classes all day on Wednesday, Saturday and Sunday. Come in 10 minutes early to check in at the front desk, get acquainted with the place, change and then get ready for an awesome class. Wear comfortable workout clothes and bring a water bottle and we’ll do the rest.